Louis Pratt under the clock at Grand Central Station. 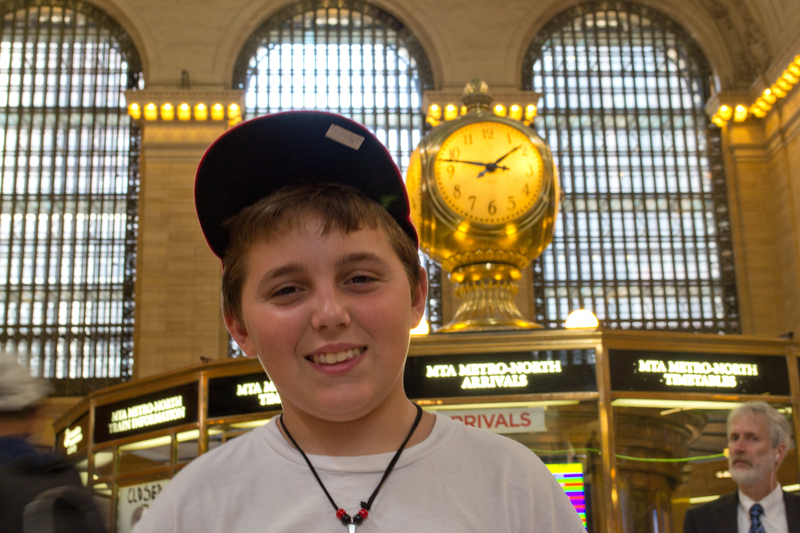 (New York City, August 6, 2012) Today we answered the question, “how many New York landmarks can Road Scholars visit in a day?” The answer is six: The United Nations, Grand Central Station, St. Patrick’s Cathedral, Rockefeller Center, Times Square, and the Brooklyn Bridge. And we still fit in three meals, a little shopping, and more than a few laughs. 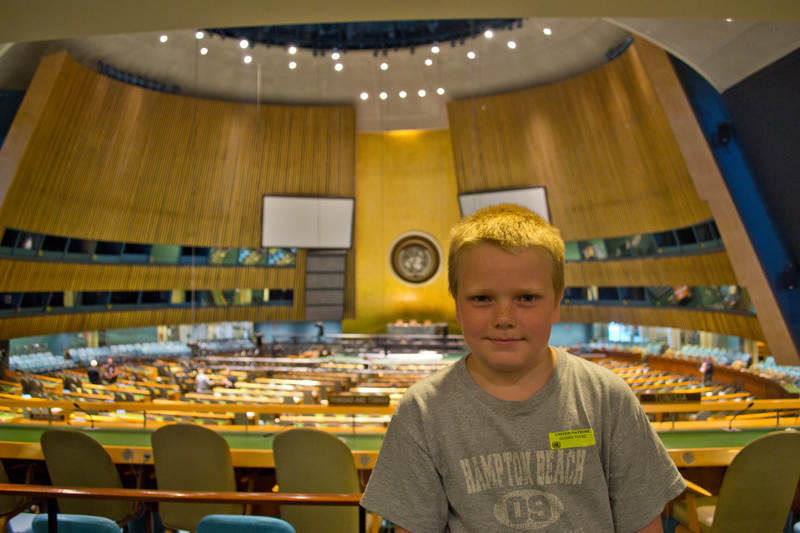 Matt Decker in the General Assembly of the United Nations. At the United Nations, we started our morning with an inspiring tour, spending time in both the General Assembly and Security Council Chamber. Our guide focused her introduction on the UN’s multiple missions, and how low the costs of waging peace are than any alternative. 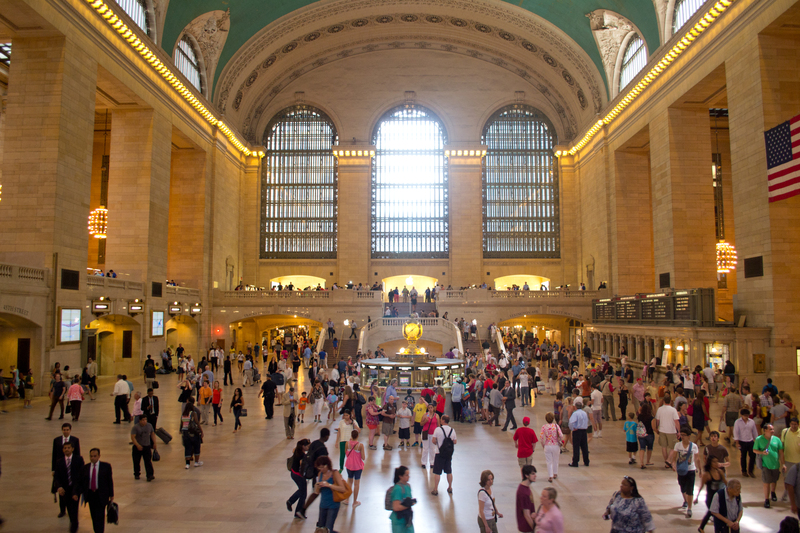 Grand Central Station: Come for the transportation, stay for the food. Grand Central Station bustles no matter the time of day, including lunchtime, when we stopped by to try out the food and watch thousands of people coming and going to the city for work or pleasure. We were clearly in the latter category as we enjoyed one of the program’s more memorable meals. 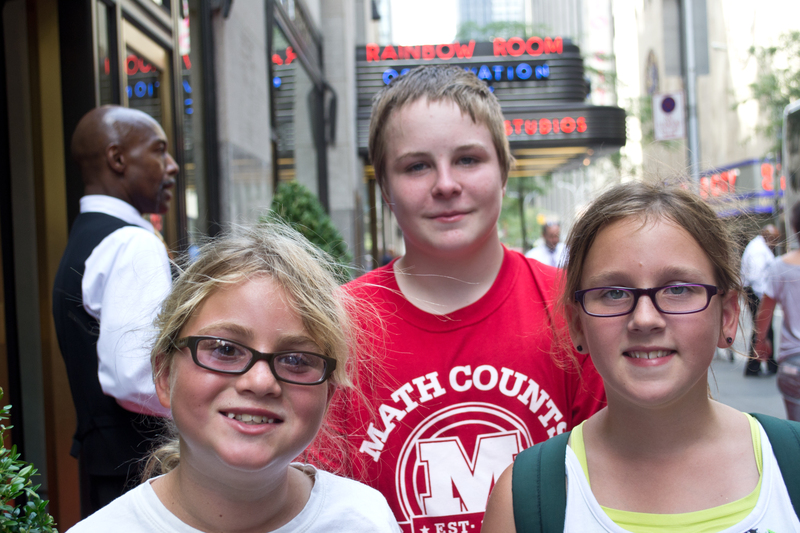 Tabitha Lamberg, John Moore, and Mya Kirke at Rockefeller Center. 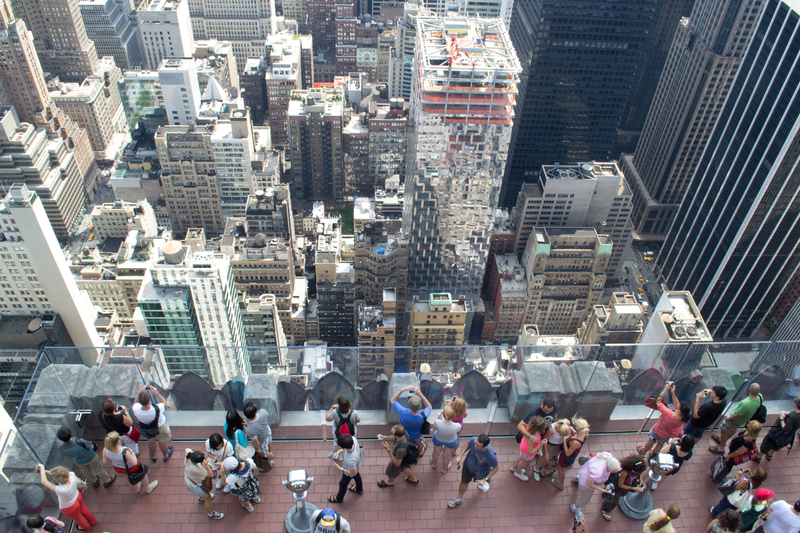 Rockefeller Center boasts one of the most spectacular views of any city in the world. Three observation platforms with 360 degree views are one thing. Put them in the middle of Manhattan, and you really have something. And, like Saturday in the harbor, the haze and humidity cleared just in time for our ride to the top. If you don’t like the views of New York City from the Top of the Rock, just wait for them to put up a new building. Tom and Cameron were excellent people to meet and have on our trip. Thanks guys for the pictures and the friendship. Enjoyed every bit of the NY experience!